Clevertech transformed into a fully remote company more than a decade ago – a little early, we know. But we learned a thing or two along the way. Considering that globalworkplaceanalytics.com sites that up to 90% of the US workforce says they would like to telework at least part-time, it’s not surprising that searches for remote work have increased significantly. Many of the millions of people who are stuck commuting to offices every morning likely day-dream of an alternative that eliminates the hassle and stress of daily commutes and all the logistical balancing that goes with it. It’s definitely an appealing thought, especially when you could work from pretty much anywhere and you are no longer geographically bound — the world is pretty much your oyster. Work from pretty much anywhere: yes, that means Hawaii or other tropical places if you can swing it and if there is strong and reliable wifi. Work on incredible projects: talented folks in small town USA now have access to Silicon-Valley-like projects without having to relocate. Work how you like to work: we’re not robots, work when you are most creative and productive. Work and life: go for that mid-day run, have a surprise drop-in lunch with your kids at school, get that grocery shop completed during non-peak hours while everyone else is stuck at work. Work and growth: as a professional you likely crave growth – remote work pushes your limits in many aspects. No clock punching: this is a con because for a lot of people punching the clock is the easy way out. Remote work focuses on productivity, not face-time. Organize or fail: you need to be really good at organizing yourself because the lines between work and life get very blurred. Being hyper-organized helps you find the right balance. The speed of light: that’s pretty much how fast remote work feels like. Without the traditional corporate structure (i.e. bureaucracy) things move forward and change quickly so you need to be able to thrive in this type of environment. Training: traditional corporate environments tend to hold people’s hands. Remote work doesn’t allow for that. You go through onboarding, are given the tools you need, introduced to key folks, and then it’s up to you to move forward with your team or reach out with questions. This can be terrifying to many people. Workations: since you’ll work from pretty much anywhere, you could be on a tropical beach working while everyone else is on vacation. 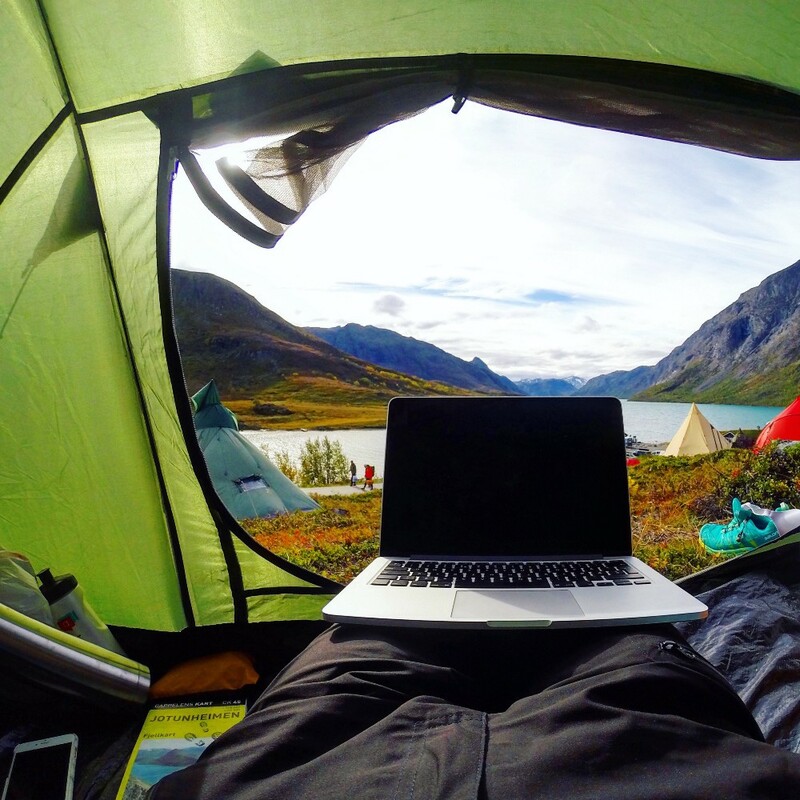 The right candidate for remote work considers this a major perk and prefers it over waiting for their allocated vacation time to enjoy life. If you think you’re a good candidate to join our team check out our open remote job positions. Clevertech is a fully remote team of amazing designers, developers, and support folk living the remote-work dream while building incredible digital products. Check out our projects on Facebook, Youtube, Twitter, LinkedIn, Instagram and Google+. Remote Work: Career Opportunity or Potential Train Wreck?